If you are grappling with the aftermath of residential water damage, you want the problems resolved as quickly as possible. 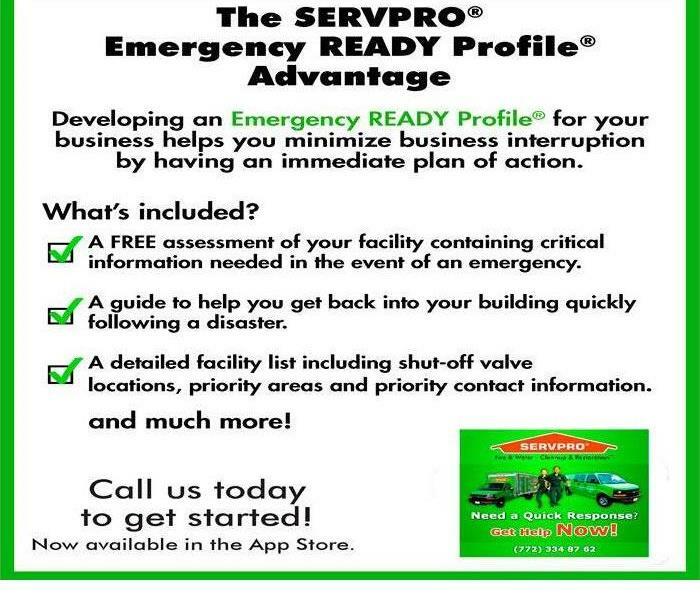 Keep handy the name and number of a local cleanup and restoration company like SERVPRO. Our job is to provide state-of-the-art service to our customers that are in need of expert water damage restoration. And we do so with rates that won't break your budget. Once water damage has taken its toll, engage the path to a solution as soon as possible. This means hiring a professional cleanup and restoration service to drain all of the unwanted water out of the building. We have truck-mounted pumps and portable extractors to quickly dispatch water. Our Applied Structural Drying Technicians (ASD) can dry out your home with the additional aid of air movers and dehumidifiers, both desiccant and refrigerant. Our trained WRT-Water Damage Restoration Technicians, adhere to the cleaning standards of the IICRC . We ensure, by testing with moisture meters, infrared cameras, and hygrometers, that the affected areas are dry. if you ever have any issues rest assured that SERVPRO of Southfield will make it, "Like it never even happened." If you ever have any issues, rest assured that SERVPRO of Southfield will make it "Like it never even happened." At SERVPRO of Southfield, we want you to be both warm and safe but if you have a water backup or fire we will make it "Like it never even happened." If a pipe bursts in your home or springs a leak, knowing where the main water shut-off valve is located and how to turn it off can save money and the headache of having to clean and repair the water damage. The main water shut-off valve can be outside or inside the home, and its location varies depending on the age of the home and local building codes. The easiest way to find your main water shut-off valve is by knowing whether the home was constructed on a slab, basement or crawl space. Where Is My Shut-Off Valve If My House Is on a Slab? If your house is on a slab, your main water shut-off valve should be near your water heater tank. It should be under the water heater or at the top of it. It could be shaped like a ring, called a gate valve, or it could be a lever type, called a ball valve. If it’s a gate valve, turn the valve right to shut the water off. If it’s a ball valve, turn the valve perpendicular. Where Is My Shut-Off Valve If My House Has a Basement? 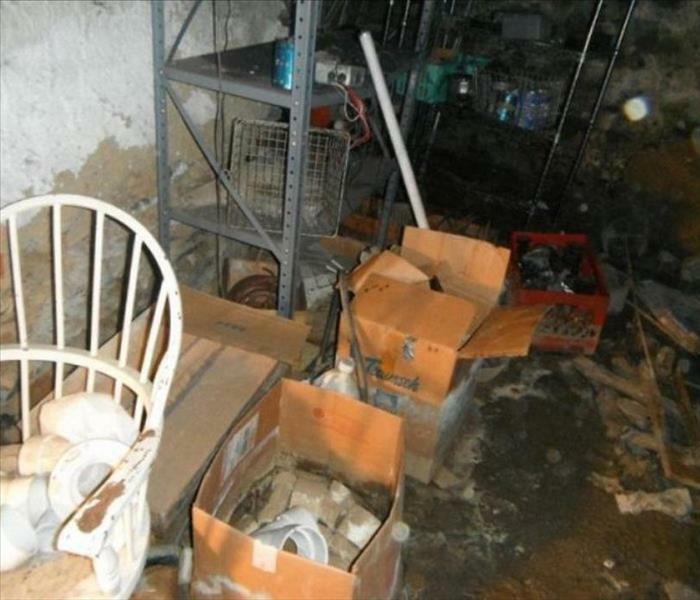 If you have a basement, that’s probably where you’ll find your shut-off valve. Most water shut-off valves in a basement will be on the opposite side of the wall of your hose bib. The easiest way to find the valve is to picture where the hose attachment is located on the outside of the house. When you picture that, find the corresponding spot on the wall inside the house, and that’s where your main water shut-off valve should be located. Where Is My Shut-Off Valve If My House Has a Crawl Space? 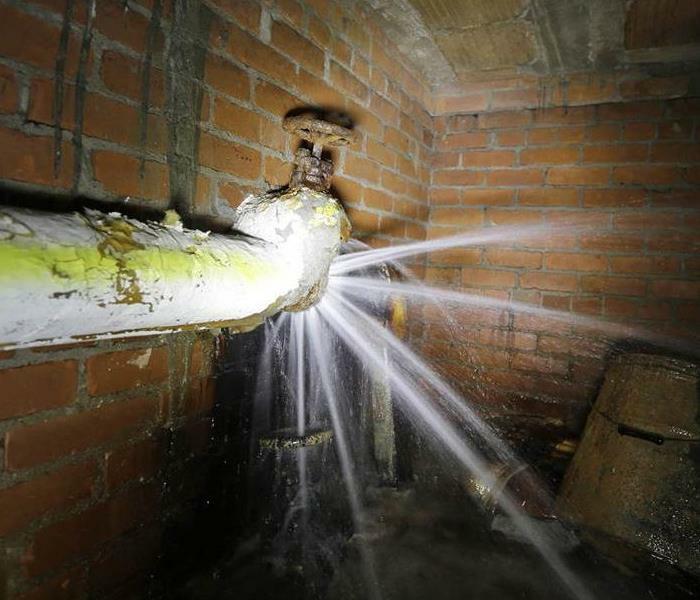 Your main water shut-off valve could be located under the crawl space. Usually you can find it along the front wall of the house underneath the crawl space. What Do I Do If I Can’t Find the Shut-Off Valve? If you still can’t find the main water shut-off valve in an emergency, the water can be shut off from the main city water line. It’s usually located at the front of the house in a covered box. Be careful opening the box, since insects and spiders might live in there. Knowing where your main water shut-off valve is located can save precious time in the event of an emergency, so we suggest you take some time to figure out exactly where the main water shut-off is located in your home. If your main water shut-off is in an awkward place that is difficult to access, your plumber should be able to relocate the main water shut-off valve to an easier to access area, such as under the kitchen sink or nearer to the main city line. Call your local plumber today if you need assistance locating your main water shut-off valve or would like to relocate it. How often have you heard the term "Michigan Weather"? If you've heard that phrase you know wearing shorts one day and then winter jackets the next is a normal occurrence here. Extreme changes in temperature affect more than our choice in clothes. Water lines are more susceptible to breaks at times of extreme temperature swings, both hot and cold. The American Society of Civil Engineers advises that just a 10-degree change in temperature can increase stress on water mains and service lines, and increase their risk of damage. Pipes become brittle when water temperatures get below 40 degrees Fahrenheit, while air temperatures at or below freezing cause the ground to freeze. However, water main breaks often don’t occur until one or two days after the freezing temperatures arrive. This is because water temperature takes more time to decrease than air temperature. 1. Use a Water Main Shut Off tag on your home- After a pipe break it is imperative to stop the flow of water from entering your home. You can easily have hundreds of gallons of water in your home within minutes. 2. Wrap pipes nearest exterior walls and in crawl spaces with pipe insulation or with heating tape- This can prevent freezing, especially for interior pipes that run along outside walls. 3. Close all windows near water pipes; cover or close open-air vents- Freezing temperatures combined with wind drafts can cause pipes to freeze more frequently. 4. If you plan to be away from home for an extended period of time, shut off water supply valves to your washing machine- Shutting off your water supply to your washer helps prevent pipes from freezing and bursting. Look at the rear of your washing machine and you’ll see two knobs: one blue and another red (usually). Turn both of these knobs in the opposite direction to disengage the water. 4. Keep an emergency list of numbers near by- Even if you take every precaution, emergencies can still happen. Have a list of emergency numbers include a plumber, your insurance agent, and a restoration company like SERVPRO of Greater Pontiac. Hopefully these tips will help you steer clear of a disaster in your home. If, even after your best efforts, you still have a pipe break, call SERVPRO of Southfield at (248)377-2220 in your hour of need. We want to be there for you and make it "Like it never even happened"
Flooding and water emergencies don’t wait for regular business hours and neither do we. SERVPRO of Southfield provides emergency cleaning and restoration services 24 hours a day, 7 days a week—including all holidays. Flooding and water damage is very invasive. Water quickly spreads throughout your home and gets absorbed into floors, walls, furniture, and more. SERVPRO of Southfield arrives quickly and starts the water extraction process almost immediately. This immediate response helps to minimize the damage and the cleaning and restoration costs. 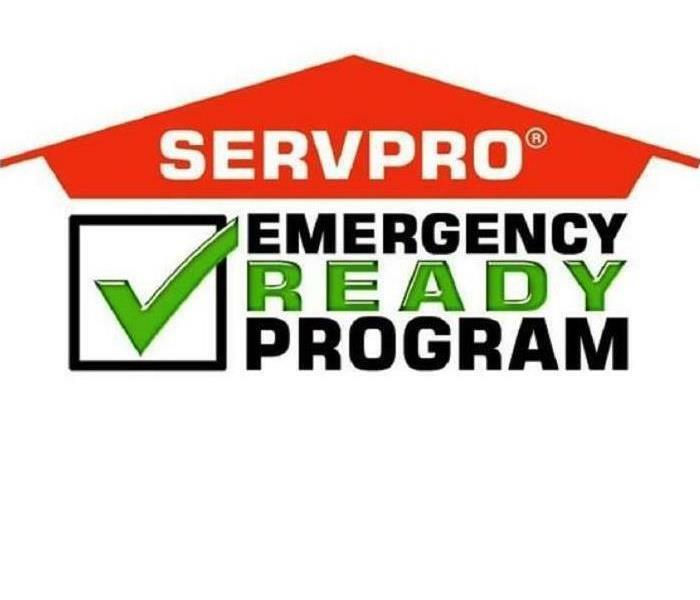 SERVPRO of Southfield specializes in the cleanup and restoration of residential and commercial property after a fire, smoke or water damage event. Our staff is highly trained in property damage restoration. From initial and ongoing training at SERVPRO’s corporate training facility to regular IICRC-industry certification, rest assured our staff is equipped with the knowledge to restore your property. Chances are by now you have seen or heard horror stories about mold. Maybe it's from a neighbor, friend, or even the local news doing a story about the evil "Black Mold" that is spreading across the country. First things first, lets understand one basic fact that some people may not tell you... Mold is everywhere. I can guarantee that you have brought mold into your home. The good thing is that not all mold is harmful. The type of mold, the environment, and how much mold is in an area (measured in spores per cubic meter) goes a long way in determining what steps are necessary to keep your house and your family safe. The other factor that makes understanding mold difficult is that there is a plethora of misinformation floating around. What kind of risks are there? How rare is it to find mold in your house? What are the chances that your home insurance covers mold? How do you know which information is accurate? Don't worry, SERVPRO of Greater Pontiac Has your back. Check back over the next few weeks and months to learn more! 3/23/2017 - Do you know where your water shut off is?